The Wire Collection is made in Denmark by highly skilled and dedicated craftsmen to ensure remarkable quality in all steps of production. The collection of Overgaard and Dyrman finds inspiration in traditional saddle making and metal work, and explores the synergy and contrast between high quality materials. At Overgaard & Dyrman we work persistently on the refinement of every detail of the pieces that we make to create pieces that flaunt the details of their construction. The Wire dining chair is available in either matte black powder coated steel finish or satin chrome plated steel finish. The Wire Collection is available with a selection of 3 types of exclusive leathers in a total of 9 colours. The complete O&D collection is available at our London showroom based in King’s Road Chelsea. 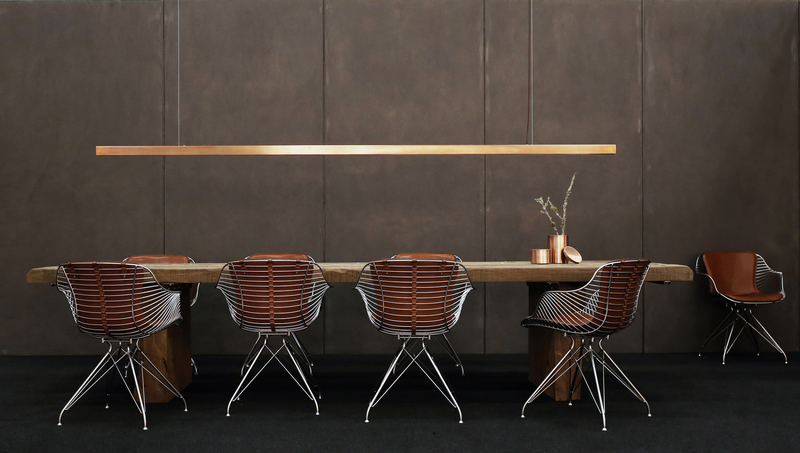 Explore our extensive collection of Overgaard and dyrman the wire chair, wire bar stool and more pieces are on display in our showroom.